: M.Sc.in Dermatology Faculty of Medicine. : M.D. (Honor Degree) Faculty of Medicine. Price of Songkhla University . 2001 Certificate of skin disease and cosmetics, Dermatological society of Thailand. 2001 Certificate of Dermatology, Chulalongkorn Memorial Hospital, Thailand. 2001 Certificate of Dermatology, Institute of Dermatology, Thailand. 2002 Certificate of Dermatology, Siriraj Hospital school of Medicine, Thailand. 2004 Mesotherapy training certificate in aesthetic, Par le Docteur Jules . 2008 Certificate of 8th Asian Dermatological congress , South of Korea. Nations Office Geneva(UNOG), Geneva , Swithzerland. (IMCAS ASIA 2010) , Hong Kong . 2011 Certificate of Training Aquamid(Trainer and KOL),Thailand. 2011 Certificate of Attendance in Botulinum Toxin Type A(Neuronox) , South of Korea. 2011 Certificate of 22nd World Congress of Dermatology , South of Korea. 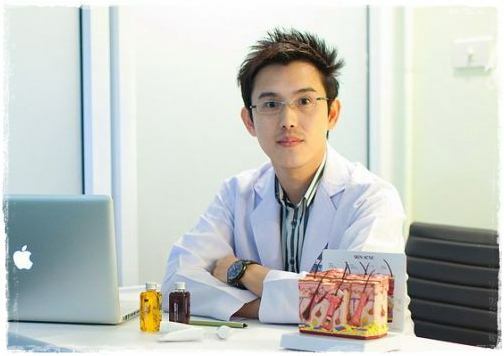 2012 Filler Trainer “ Vietnames Doctor Clinic in Ho Chi Minh City” , Vietnam. 2012 Certificate of International Congress of Aesthetic Dermatology(ICAD 2nd) ,Thailand. 2012 Certificate of Attendance in Aesthetics Asia Congress and exhibitions, Singapore. 2013 Certificate of Attendance in KCCS, Busan Korea. Membership of American Board of Laser Surgery in USA. Membership of Dermatology society in Thailand. 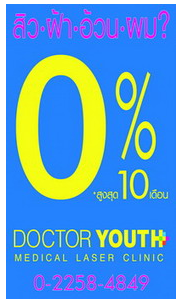 Membership of Facial Plastic and Reconstructive Surgery in Thailand.